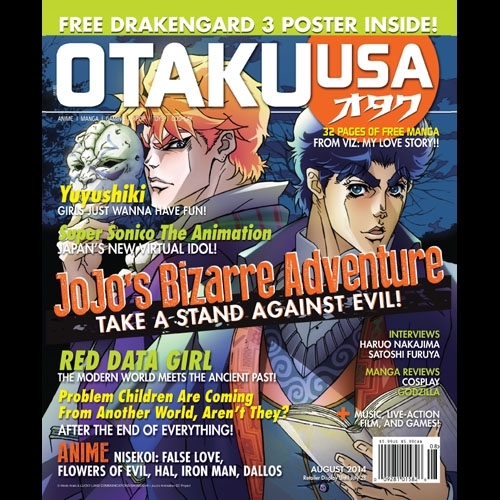 Jojo’s Bizarre Adventure lives up to its name. Red Data Girl melds the modern and the mythical. Make way for the new virtual idol of Super Sonico: The Animation. Problem Children Are Coming from Another World Aren’t They? maps out an intricate fantasy world. Yuyushiki is an unexpected treat for fans of slice-of-life comedy anime. 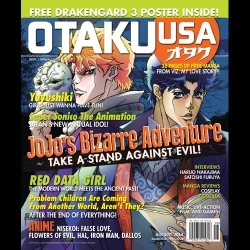 Otaku USA is going on 8! Of course we covered Durarara, DRRR!! I married my cosplay sweetheart!